Originally from northern New York Bill moved south in 1981 and wound up in Zephyrhills Fl. Here he remained as the Pro Manager of the city golf course for 7-1/2 years. In 1988 he designed and built Scotland Yards Golf Course in Dade City, Fl. where he stayed until it was sold it in 2007. 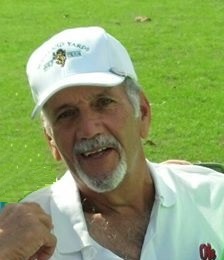 Bill is a life member of the PGA and over a 25 year period served as the North Florida section PGA Junior Chairman, Senior Chairman and the Section tournament chairman before retiring in 2007. He then worked part time at Chatuge G C. until he was called into service after the Pro/Mgr left. Bill is an accomplished musician and has performed across the southeast. He has three children and nine grandchildren all who live in Florida.